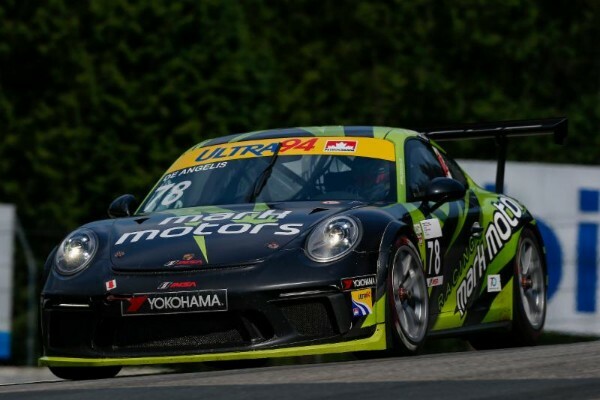 The Ultra 94 Porsche GT3 Cup Challenge Canada by Yokohama series kicked off its final race weekend of the year on Friday with two practice sessions at Canadian Tire Motorsport Park. Leading the way was Roman De Angelis in the No. 78 Mark Motors Racing Porsche, who posted the best time of the day across the two, 40-minute sessions at one minute, 19.662 seconds (178.837 kph; 111.124 mph). “It’s always sketchy here putting a lap together,” said De Angelis. “The track is super unpredictable all the time with the heat and the way that the surface heats up, so it’s always exciting putting a good lap together. The car felt good, the team is doing a really good job. Reaching the end of his first year in the Porsche GT3 Cup Canada Platinum class, the 17-year old sits second in the championship standings behind teammate Robichon in the No. 98 Porsche. De Angelis, 38 points out of the lead, is still in mathematical contention for the championship with two races remaining. Pulling double duty in Porsche GT3 Cup Challenge USA by Yokohama as well, De Angelis is in championship contention Stateside, sitting in second place and 24 points behind leader Trenton Estep. The Ontario native laments the end of the 2018 Porsche GT3 Cup Canada season, but also looks forward to the final two race weekends in Porsche GT3 Cup USA, in which Robichon was recently tabbed to drive for the remaining events as well. Robichon wound up second fastest on Friday at CTMP, with a lap from Practice 1 that was just .074 seconds off De Angelis’ time. Remo Ruscitti in the No. 96 OpenRoad Racing Porsche was the only other driver to break the 1:20 mark, recording a time of 1:19.859 during Practice 2. In the Gold class, Marco Cirone was fastest in the No. 18 Mark Motors Racing Porsche with a time of 1:21.293 (175.248 kph; 108.894 mph) over second-place Ilker Starck in the No. 48 Porsche for Policaro Motorsport / SportsCarBoutique. The Ultra 94 Porsche GT3 Cup Challenge Canada by Yokohama heads out for its final qualifying session of the season on Saturday at 8:55 a.m. ET ahead of Race 1 at 2:50 p.m. The final round will take place Sunday at 9:45 a.m. 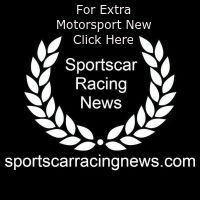 Both races will be streamed live on IMSA.tv.